This topic contains 4 replies, has 3 voices, and was last updated by nev 1 month, 3 weeks ago. I would like to know in what folder in the HD the e-book files reside. It depends. 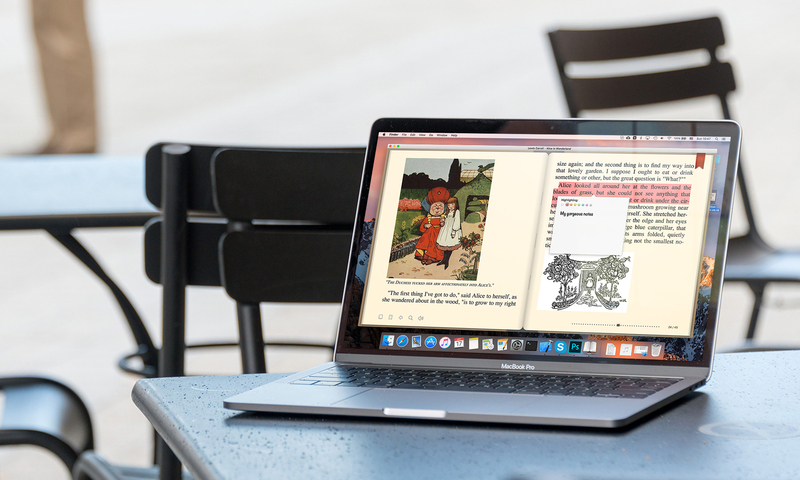 If you have downloaded BookReader from MacAppStore, your Books repository resides in the sandbox container (~/Library/Containers/com.lymes.BookReader/Data/Books). If you have downloaded the app from this side, you will find your books in ~/Books folder. It seems inconsiderate to dump the books folder in the root of the home directory. Normally an app would choose its own Application Support folder location, or at least a folder inside the Documents folder. Is there no option or command that can move the location? Many users have asked for ~/Books location. Previously I opted for ~/Documents/Books folder, but many users asked to move it to the home directory (perhaps for iCloud sync reasons). Well, there is no “move” books folder feature, but we have a “Choose Books Library Directory” feature in our ToDo list. Stay tuned! Well clearly it would be a good idea to enable the user to specify the location of the books. If that was implemented, the user could choose a location in say, Dropbox, and thus sync books between Macs.